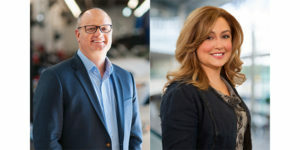 This Executive Interview with Icahn Automotive Group LLC’s Brian Kaner, president of service, and Laura Soave, executive vice president, started with a brief recap of Icahn Automotive’s “Race to 2026” initiative that’s addressing the service-technician shortage facing the automotive repair industry and launched on Feb. 19 at the Universal Technical Institute (UTI) training facility in Mooresville, North Carolina. Icahn Automotive Group, an Icahn Enterprises company, owns and operates leading auto repair and maintenance providers Pep Boys, AAMCO and Precision Tune Auto Care. Icahn Automotive’s program, which encourages students to “Make Shift Happen,” will invest in and support promising future automotive technicians and students who have an interest in the skilled trades, and encompasses branded classrooms, scholarships, an apprenticeship and internship program, and continuing education and benefits to help them further their careers. While Icahn Automotive already has hired thousands of tech-school students to work in its bays at Pep Boys, AAMCO and Precision Tune Auto Care auto service locations, this new initiative provides a direct pipeline to skilled talent on an ongoing basis. Mary: What do you think has been the greatest obstacle to getting students interested in automotive careers? Is it their parents? Is it the guidance counselors? Or, is there just a misperception about our industry? Brian: There is a misperception. I’m not sure exactly when it happened, but when high schools started de-emphasizing trade programs, skills-based trade education took a back seat to a traditional four-year college education. Certainly, a key contributor to the current technician shortage has been the continued disinvestment throughout the U.S. in vocational education programs for high school students, and we’re now at a point where 75,000 jobs are coming open each year because many of the last technicians to have had this training available are retiring. Many states view these programs as too expensive and don’t get enough credit for developing specialized, highly employable professionals. It’s really inspiring to come to places like UTI because the students are dedicated to the craft. If they’re going to dedicate the time and money – which is still a fraction of the cost of a four-year college – to get educated in this space, they’re generally passionate about the field and committed to sticking with it. But, there are not enough of these programs and not enough students being steered toward them. That’s why we have to invest in creating our own programs that are geared toward attracting students, and then taking that general service tech and lining them up with a master tech, putting them into apprenticeship programs and helping them build the same [career] path. Training for a skilled trade is again, as it always was, an excellent step in a successful career. By providing robust career opportunities, we will ensure expertly trained technicians who are ready to provide superior customer service in every one of our bays every day, and, in turn, we will positively impact the technicians’ life in the overall industry. Mary: Our industry’s technical skills gap has been labeled as a huge challenge, even a disadvantage for the independent aftermarket. But, there are some really great long-term opportunities for young people in the automotive aftermarket right now, especially in the areas of “emerging technology,” that are going to require that “next level” tech. How can we better put our industry in the spotlight, and get young students excited about automotive? Laura: This is a ‘tech’ job. A technician was the first tech job. When did things change? The tech boom sent a lot of candidates with these skills towards becoming programmers because that was the perceived path for the future. But, the future is in the vehicle, and it’s going to continue to change even more so. Modern technologies like advanced driver-assistance systems (ADAS) are opening up new opportunities for technicians, including advancing to positions like a diagnostic specialist, where they’re reading thousands of lines of code every day. They are just [using] a different side of the tech brain. There’s such a tremendous opportunity for growth, challenge and meaningful work. Brian: We know in the industry that the typical vehicle today has over 100 million lines of code. So we need to reposition the [technician] position as tech-focused, as opposed to the more commonly thought of hands-on nature. You’re no longer tearing apart a car to figure out what’s wrong with it because you can pinpoint the problem, fix it and get the customer back on the road in a very surgical way. And the aftermarket is a great place to be, because you’re getting to work on hundreds of makes and models, and really problem solve, instead of just focusing on one brand. But it’s our responsibility to let the tech of tomorrow know about these opportunities, and partner with them to chart an exciting and rewarding career path. At Icahn Automotive, our extensive network of service locations offers tremendous opportunity for growth – you can go from an entry-level technician to a Master tech, store manager, technical trainer, regional leader, senior executive or franchise owner. Unlike many other service networks, we offer the opportunity for business ownership of one or more of our franchise locations. Mary: Right now, dealers are not selling as many new cars as they want to, so there’s a surplus of vehicles on car-dealer lots. I think they’re going to more aggressively go after the service side of the equation more than ever. Would you agree? Brian: The dealers are more aggressively going after service because it helps with customer retention. The independent service owners are also contending with this, along with the need to make a heavy investment in technology and continuous upgrades, the skills’ [requirements] and the tech shortage. We’re really best positioned as a national player with the ability to continue to invest in the business and in programs to attract the best talent in the industry. Mary: Let’s talk about ADAS, which is advanced driver-assistance systems, and how they are becoming more prevalent in the form of collision avoidance, automatic braking, lane-change assistance and the like. While some may look at this as a challenge for independent repair shops, it really presents a host of service and repair opportunities. So, we need the brightest minds working on these vehicles. How can we better-position this challenge as a win-win scenario? Brian: We need to pivot an entire future generation of service technicians and their perceptions of this industry from this gritty, greasy shop that was their grandfather’s garage to clean repair rooms, full of technology and opportunity. You don’t measure success anymore by how dirty the technician’s hands are. It’s an environment where people like to go to work; a clean, productive place where knowledge and skills are highly valued. And cars are so complex that a technician can no longer be self-taught. Laura: And, with the proper tools, too, because that’s the big challenge. Brian: That is a challenge for the technicians and the independents because that investment is not small. You have to have enough confidence in your ability to be successful in the future to make those investments today. We are really able to support the technician here, with scholarships and tool reimbursement that can help them get their start. We’re in this business because we really believe in the future of the industry and the viability of the service technician career. Laura: That’s where the ‘Make Shift Happen’ tagline came from. It’s about shifting the perception in the industry, [as a result of] the ever-shifting vehicles, car parc and technology – everything is shifting. But the perception of this industry has not shifted along with it. That’s the challenge we’re trying to embrace and really showcase. UTI and some of our other partners are great because they have recruiters in high schools too, so we can get even farther into that pipeline. That’s going to be where we are really focused; and we offer some of the broadest options for career paths in the industry, so they can stay here, even if they change their mind along the way. Brian: With 2,000 locations, we can partner with training schools like UTI to bring in technicians, service manager, regional leadership or senior executives to schools around the country to speak to students in a way that’s different from what they’re used to hearing about the industry and open their eyes to the possibilities. Laura: I came from the OEM world where the technician works for an independent dealer and that independent dealer usually has a footprint within a local community. With Icahn Automotive, we have national brands. So, if someone decides they want to relocate to Texas or Florida for family reasons or just warmer weather, they can still stay within our family. It is very flexible and very unique. Mary: Laura, you mentioned the shift in vehicle makeup. We have a growing and shifting car parc, especially with the continued increase in import VIO. Import nameplates represent 46 percent of all vehicles on the road right now, and, in less than five years, imports will represent half of all vehicles on the road. And, they currently represent 56 percent of all new-vehicle sales and growing. Discuss the need for multi-dimensional, cross training to be able to service this vehicle mix? Laura: I think it’s system-based, too. You can’t have a class based on the make and model; you need a ‘systems’ class, because the students have to have the skillset to translate that [knowledge] depending on the vehicle. We actually have internally adopted that program. So, we have several systems-based courses for the first three years, and then they can branch out into specialties. But, it’s really a different method of training than it used to be. Mary: Beyond technical trading, there’s also a need for management-related training as it relates to customer relations. How can shops handle rising consumer expectations with a customer base that doesn’t necessarily understand the demands of this increasingly complex car parc? Laura: It’s simply transparency and communication. But I think that’s the place where we’re a little behind in the aftermarket. We need better soft skills. Just tell me in layman’s terms what’s wrong and educate me. Help me understand it. It’s similar to when you have a medical issue and if a doctor speaks to you in medical jargon, you tense up and making important decisions can feel extra challenging. Training for soft skills is a critical part of the process. Brian: We also need to leverage the technology that exists to help explain to consumers what’s going on. It’s a piece of equipment that’s telling you what’s wrong; to test your tread depth or battery health, to check engine lights, to look at all the various components that consumers have grown to distrust because they experienced a misdiagnosis or an overzealous mechanic in the past. Some of the best advisory associates in our stores are actually the technicians. When our service advisors ask a master tech to come and help explain what’s really going on, you have the peace of mind that they are trying put you back on the road safely, not sell you something you don’t need. Laura: You don’t question the doctor, who went to a great medical school and has performed thousands of operations, right? I don’t think people understand what technicians invest in their personal tools and that they’re getting a constant education. Every year, new makes, models and powertrains come out. They are constantly investing in themselves to keep our vehicles running safely. Brian: Long term, our whole business is about building trust with the consumer. And, once you’ve gained that trust, it’s about maintaining it through employee bases that are continuously growing, being educated, and getting out there to treat every customer like it’s your family on the other side of the counter. No one wants to have to repair their car, or sit in the waiting room for too long, so it’s our job to make sure it’s the smoothest, best experience they can have. Mary: You talked about there being a shortfall of 46,000 technicians by 2026. Are there other positions where there will be a similar need for skilled people? Brian: The really interesting thing is that the projected demand for automotive technicians is not significantly higher than a lot of other fields. But we have a problem because training hasn’t kept up with the demand, and worse yet, we allowed the disinvestment in education, just as our vehicles started to become more complex. Additionally, that technician role is a starting point for a lot of other positions so then the shortage compounds in the industry. A good manager has at least some technical skill. If we can’t figure out how to solve this deficit now, come 2026, finding people to manage and run shops will also be a big problem. 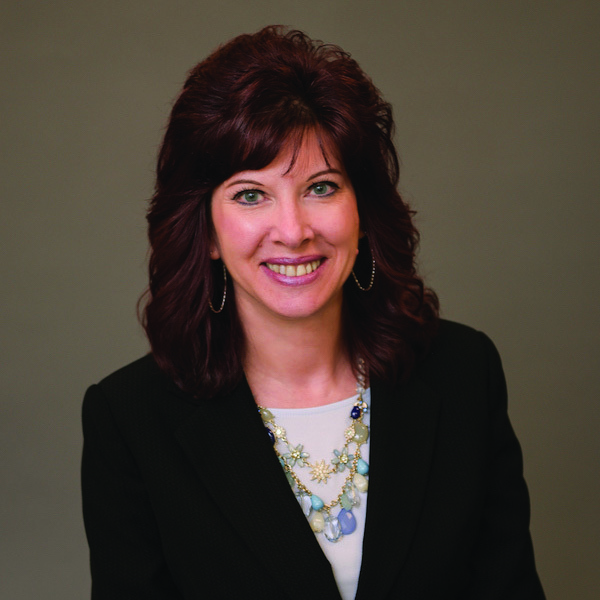 Mary: I know a lot of technicians channel their career into being an owner, but are we also telling them they could be a vice president of a manufacturing company, or hold another management position? It’s not a narrow lens of opportunity; it’s a wide lens. Laura: It’s a much longer career than most people think. All you have to do is look at the teachers in these tech schools, in training courses or on the other end of a tech hotline, or the service advisor, regional manager or shop owner. You can have a very long technical career without actually being in the bay fixing the vehicle. The parts counterperson is another position that nobody talks about as being harder and harder to find; shops rely on that parts person. So, when they’re ordering parts, that counterperson needs to understand all of the pieces that are required to make the technician’s job easier, to get that vehicle off of the lift quicker. Transmissions [specialists] are an even harder position to fill, and that’s also evolving with hybrid vehicles and electric vehicles and through the evolution of the transmission and engine itself. The opportunities are endless.